Also known as starweed and stitchwort, chickweed is a weedy, groundcover plant that is found just about everywhere on the planet. Its common name is a reference to the fact that wild game birds and domestic chickens eat the young leaves and seeds, although cows, rabbits and pigs also forage on it. People enjoy the fresh leaves in salads, use the dried to make teas and tinctures and the powdered herb as a dietary supplement. Chickweed is a flowering annual of the Caryophyllaceae family and has a very slender tap root and greatly branching leafy stems, which lie along the ground. The plant's weak stems mostly trail along the ground (for up to about sixteen inches), but the growing ends may be upright (up to eight inches high). The stems branch very frequently and take root at the leaf junctions. If you look very closely at the stems, you'll see a single line of hairs running up the side, and you'll notice that the line changes sides at each leaf junction. The leaves are opposite, smooth, and oval (with a point at the tip), and the older, lower leaves are stalked and vary in size from 3 to 20 mm in length, they are oval in shape and have long stalks, while the upper new leaves lack stalks and tend to be larger (up to 25 mm in length). Chickweed is just about always flowering, except in the dead of winter. It has tiny white flowers, about a quarter inch in diameter, in the leaf axils or in terminal clusters, with five deeply notched petals that look like ten, and five green sepals that are longer than the petals. Many small, white flowers are produced; the stamens have reddish-violet anthers. The flowers close at night and open in the morning. The flowers develop into small capsule-like fruits which contain many tiny seeds. The seeds generally germinate within a few years, but can remain viable for much longer. A single plant may produce around 2,500 reddish-brown seeds, which can remain viable in the soil for 25-40 years. Chickens and many other birds love chickweed, and eat both the plants and the seeds, which is how it gets its name. 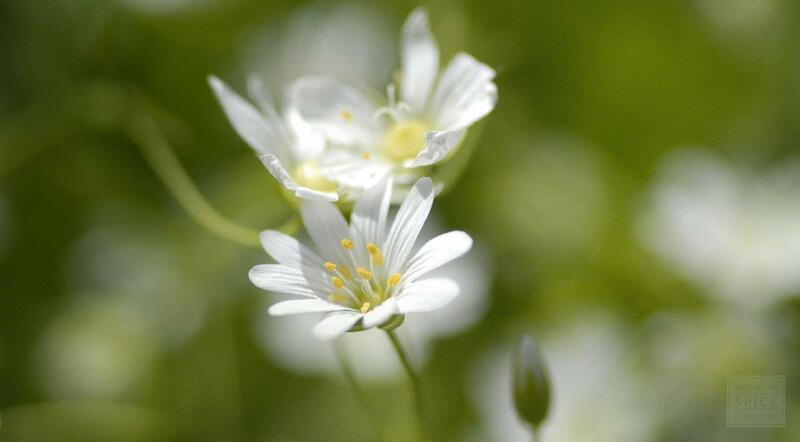 Stellaria media or Chickweed is native to Europe, but it is widespread through North America as well. Chickweed grows well in full sun to part shade. This plants grows almost anywhere, it is a common garden weed and can adapt to many climates, but prefers cool, damp locations. Chickweed grows best in a moist, fertile soil. Sow seeds directly in garden soil after the last frost, germinates readily. Chickweed leaves and stems can be harvest throughout the growing season. Dry the stems and leaves well, cut into smaller pieces or grind into a powder, store in an airtight container in a cool, dry place. Chickweed may sound like a sexist herb, but it’s actually quite helpful— for both women and men. It derives its name from the attraction that baby chicks and birds have to its buds. In fact, even humans enjoy eating it—it has a spinach like taste that makes it perfect for salads. However, you’re probably ready to find out about its health benefits for you. And there are many to describe. For example, chickweed can be made into a salve to treat wounds and skin irritations. Chickweed provides relief and comfort and helps you to heal more quickly. You can also use it in this form to treat problems such as bug bites, burns, and eczema. Chickweed has a variety of uses that include treating hemorrhoids, impetigo, and even can be used to aid in treating tumors. 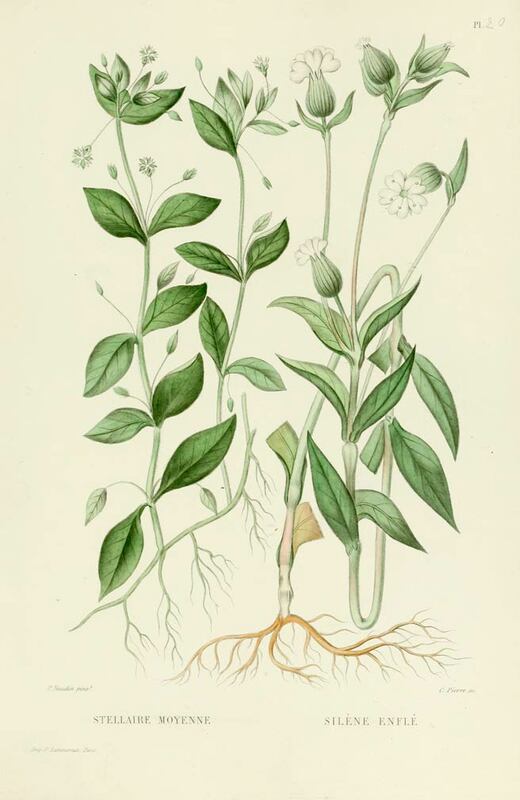 For external use, chickweed is often taken in the form of a cream or ointment. Some people have also used chickweed to help treat problems with the eyes such as conjunctivitis and other eye infections. Some have even used it to complement cancer treatment and restore health. Internally, the tincture of chickweed can also be used to treat problems. For example, you can take chickweed to help reduce a fever. It can also be used to loosen a tight chest infection that’s giving you grief. If you just want to have better overall health, chickweed can also be used as a tonic herb. That means it generally supports you body to have good immunity, energy, and stamina. People have also used it for years to treat problems with the digestive tract. Chickweed grows all over the world and has been used for thousands of years as an herbal remedy or home remedy. It contains lot of vitamins and chemicals called flavanoids that are though to be responsible for its ability to heal and support overall wellness. Chickweed is packed with vitamin C, which helps to boost immunity. It also has a concentration of coumarins. Coumarins are chemicals that actually help to keep the blood thinned and prevent blood clots. If you’re looking for an herb that you can use for a variety of ailments and that can also help to keep you healthy and energetic, chickweed may be just the answer for you. Make sure to keep a supply of it on hand so you can enjoy vibrant health for years to come.